Feeling angry all the time? 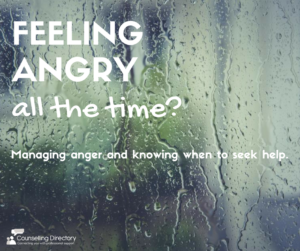 Managing anger and knowing when to seek help. Anger is a very normal emotion – everyone will feel anger from time to time – in fact, feeling angry can sometimes be useful. Anger can help us understand a problem. It can urge us to take action and make a change. It can give us energy, strength and motivation. Some people will experience anger on a different level, though. For some, these feelings can become hard to control. A person may not be able to manage their anger and instead, express these feelings through destructive behaviour. Anger can cause a person to lose control of their actions. It can affect your mental health, physical health and relationships. Anger can also be linked with grief and bereavement. If you’ve lost a person very important to you, it can be hard to come to terms with and anger is often a part of the journey. Actions including raising your voice, swearing, slamming doors, throwing things and being verbally abusive or physically violent are acts of outward aggression. Self-loathing, self-harming, social isolation and denying yourself from ‘basic needs’ such as eating, going out or things you previously enjoyed are acts of inward aggression. Ignoring or refusing to speak to people, being sarcastic, sulking, not doing tasks or not giving your full effort to things are acts of passive aggression or non-violent acts. Expressing your feelings through outward aggression can be frightening for others around you, and can be harmful to your relationships – both personal and professional. Acting aggressively or with violence can have serious consequences, you may lose your job, your family and can even get you in trouble with the law. If you recognise any of the above behaviours and feel they’re affecting your life and as a result, your mental health, it is important to seek help. 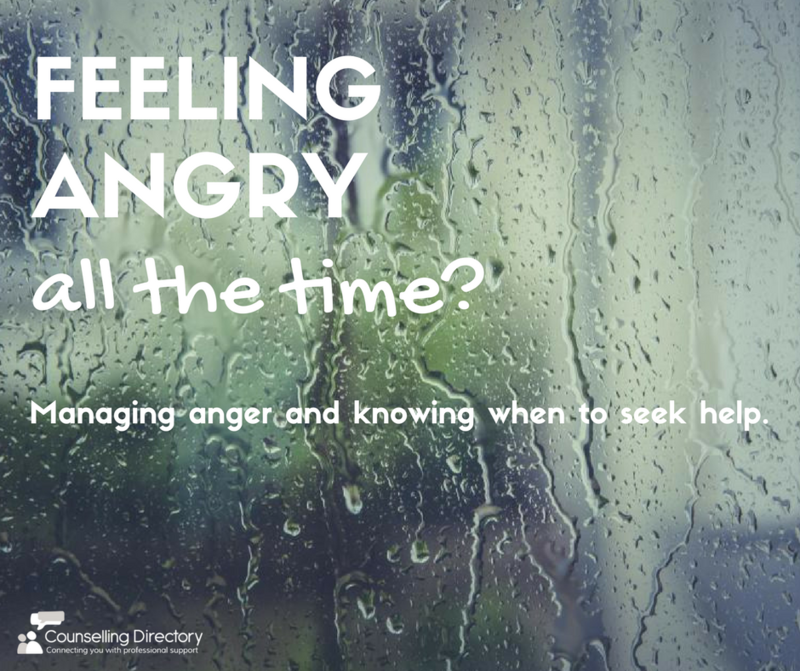 Intense or recurring feelings of anger can be very stressful. You may not know why you feel this way, or perhaps you are unable to control it, so the stress can build. This can negatively impact your self-esteem and put you at risk of developing sleeping and eating problems, anxiety, self-harm and depression. Anger management therapy can be an option for those who feel their feelings are affecting their life. Speaking up and seeking support is the first step in moving forward. If you are worried about your behaviour, therapy can help you identify and understand what may be causing your anger. Once you recognise and accept your anger issues, you can begin to understand how anger can be used in a more positive way. A professional can guide you through the steps to ‘unlearn’ your negative coping methods and adopting new and useful behaviours. You will learn to identify frustration points early and understand how to manage and turn them into motivators and strengths, remaining in control throughout. Remember, there is nothing to be ashamed of and you deserve support too.